Updated Saturday March 2, 2019 by John Sharkey. Despite the forecast - tryouts are still scheduled for tomorrow (Saturday March 2nd). You will be notified via email or facebook (@lincolnrilittleleague) if anything changes. Location: KR Baseball Academy, 100 Higginson Ave, Lincoln, RI. Note: There are no tryouts for ages 4, 5 or 6. These registered players will be contacted by April1, 2019 with team assignments. • Please arrive 15 minutes prior to scheduled tryout time, to check in and receive a tryout number. • Please wear sneakers and bring a glove (with child’s name on it). Bats will be provided. • All players age 7-12 must attend at least one tryout. • All players must be pre-registered before tryouts. • Players will not be able to tryout unless their registration fee has been paid. • Please remind your children that they should behave appropriately. • Only coaches and League officials will be allowed admittance into the gym during tryout. 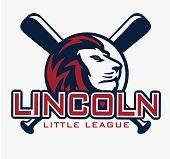 Age Calculator can be found on our website at LincolnRILittleLeague.org under League and Registration Information. Little League® Baseball Age: Player is the actual age of a child as of August 31 of the current year. Little League® Softball Age: Player is the actual age of a child as of January 1 of the current year.